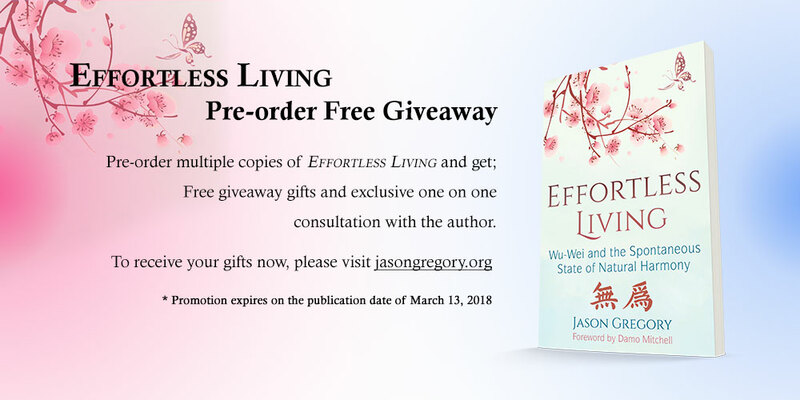 To celebrate the publication of my new book Effortless Living: Wu-Wei and the Spontaneous State of Natural Harmony this year Amazon and I will be holding outrageous deals on pre-ordering which will expire on the publication date of March 13, 2018. Amazon’s pre-order price guarantee will guarantee that you receive the lowest price from now until the book is published if you pre-order today. Also I will have four pre-order offers for you to choose from which all include a bunch of awesome stuff that you can share with others. These packages might be the perfect solution to a lot of headaches people have when trying to decide on gifts for others. Below you’ll see these four offers and bonuses for anyone who pre-orders the book now. If you believe there are people in your life that might benefit from or enjoy my new book then take advantage of this once off offer. *A personally signed copy of my book Fasting the Mind delivered to your door. Click here to pre-order 5 copies, then email your receipt to jasongregory@hotmail.com.au with “Pre-order #1” in the subject. When you receive the books send a photo of you with the books to the above email or post it on my Facebook or Twitter and I will send your gift straight away (The photo is done just to make sure people actually receive the pre-orders and do not cancel their pre-order and receive my gift under false pretences). * A personally signed copy of my book Fasting the Mind delivered to your door. * A personally signed copy of my book Enlightenment Now delivered to your door. Click here to pre-order 10 copies, then email your receipt to jasongregory@hotmail.com.au with “Pre-order #2” in the subject. When you receive the books send a photo of you with the books to the above email or post it on my Facebook or Twitter and I will send your gift straight away (The photo is done just to make sure people actually receive the pre-orders and do not cancel their pre-order and receive my gift under false pretences). * A personally signed copy of my book Effortless Living delivered to your door. * A personally signed copy of my book The Science and Practice of Humility delivered to your door. Click here to pre-order 20 copies, then email your receipt to jasongregory@hotmail.com.au with “Pre-order #3” in the subject. When you receive the books send a photo of you with the books to the above email or post it on my Facebook or Twitter and I will send your gift straight away (The photo is done just to make sure people actually receive the pre-orders and do not cancel their pre-order and receive my gift under false pretences). * 2 personally signed copies of my book Fasting the Mind delivered to your door. 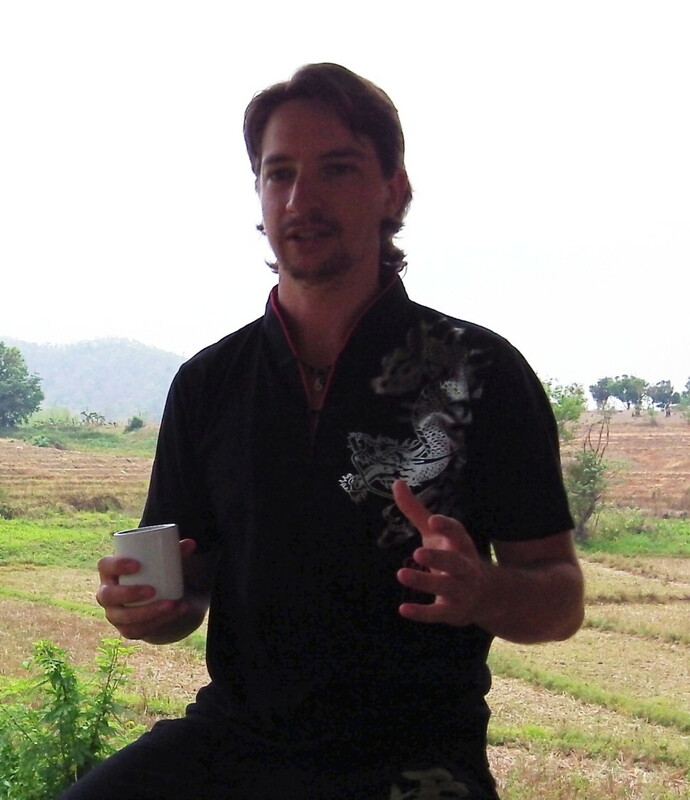 * 2 personally signed copies of my book Enlightenment Now delivered to your door. * 2 personally signed copies of my book The Science and Practice of Humility delivered to your door. Click here to pre-order 50 copies, then email your receipt to jasongregory@hotmail.com.au with “Pre-order #4” in the subject. When you receive the books send a photo of you with the books to the above email or post it on my Facebook or Twitter and I will send your gift straight away (The photo is done just to make sure people actually receive the pre-orders and do not cancel their pre-order and receive my gift under false pretences). The Science and Practice of Humility OUT NOW!